Offers all the features that make the award-winning Lexmark T650 Series so competitive, including optimised time-to-first-page for short jobs and an impressive range of paper-handling options. Choose from extra input drawers to expand your capacity up to 4,300 sheets, a StapleSmart II™ Finisher, 5-bin mailboxes, output expanders. You can even add a swivel cabinet. 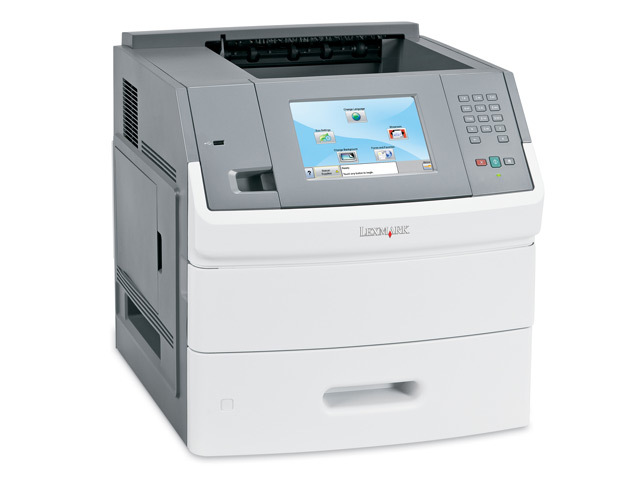 Access basic printer functions from the touch screen or explore the free preloaded Lexmark applications. Touch Eco-Settings to modify paper and energy settings. Touch Forms and Favorites to print online documents and Web pages on demand, without a computer. Or change the background or language on the touch screen display -- with a simple touch. The preloaded Forms and Favorites app provides instant access to your Web-based documents when you are away from your workstation. Even better is to tailor the Lexmark T656dne to auto-save your important documents to the encrypted hard disk that comes standard. 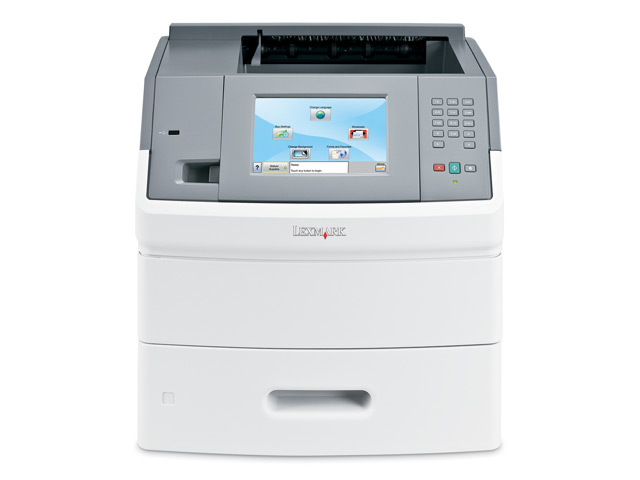 New touch screen laser printer with built-in duplex gives you more value for your investment, with blazing 53 ppm speed, an impressive choice of paper handling options, leading security, and five preloaded applications―plus a built-in solutions framework for adding tailored apps to cut costs and increase productivity. Do more with Lexmark’s leading efficiency-boosting applications, such as Print Release, Document Accounting and others. Lexmark's tailored solution apps help you lower costs, streamline your work processes and improve productivity by moving information more efficiently throughout your enterprise. See Related Link to learn more.